So here I am, wondering, do I have what it takes to be a “PEACEMAKER”? 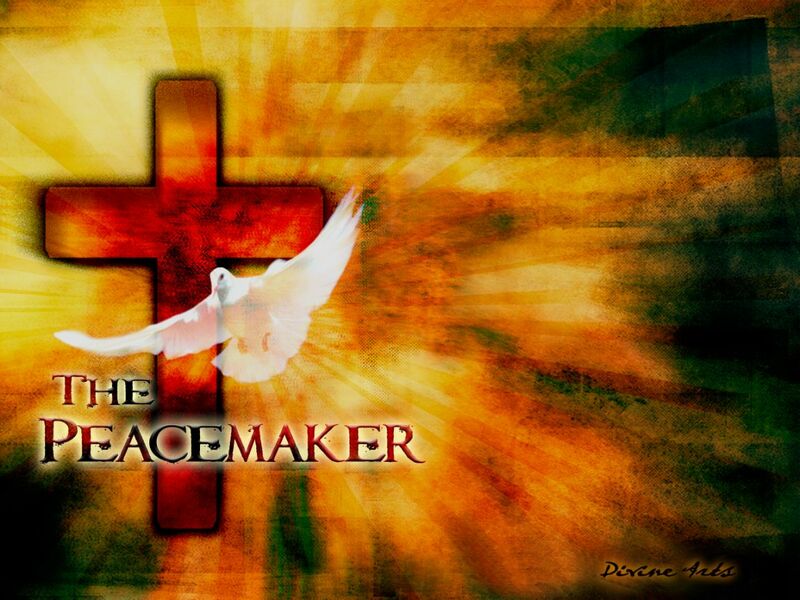 There could be a difference between a peacemaker and a peacekeeper. It might be helpful to distinguish between them. Personally, I believe a peacekeeper is one who tries to a great extent to avoid conflict. This is someone who will not cause waves in a situation. They just want to keep the peace. I believe that I might be basically just a peacekeeper. On the contrary, I believe a peacemaker may even have to bring conflict to the surface between individuals to help reconcile any differences. These are people who are not afraid to iron things out. The key difference is; a peacekeeper knows that conflict exists but tries to avoid any flare-ups between parties. A peacemaker takes the potentially hazardous conflict and attempts to reconcile the parties by putting an end to the controversy. I believe peacemaking requires more Christian attributes and gifts than does peacekeeping. Peacemaking requires forgiveness whereas peacekeeping may avoid the discussion of forgiveness altogether. Does someone have to ask for forgiveness before reconciliation takes place? I believe so. I have discussed this with Earl. I have determined that he is correct when he says forgiveness has to be asked for before one can forgive or be truly reconciled. Doesn’t God call people to repent and ask forgiveness from Him? I’ve argued that I can forgive people regardless of whether they’ve asked for it or not. This really is wrong. What I’ve actually done is made peace within myself in order to avoid conflict from without. This is a peacekeeper’s way of dealing with situations. It may even be an insult to tell an individual, “I’ve forgiven you,” when he or she may actually believe that I need to ask for forgiveness from them! People are not truly reconciled by just making peace within ourselves. This is where a peacemaker makes all the difference. Instead of burying my head in the sand and pretending discord doesn’t exist, I need to vocalize how I’m feeling and get the feelings of the other person involved. Then, with a Christ-like attitude, begin to understand and work on improving the situation that has caused such a struggle in the relationship. This is a very serious directive that Jesus has given us. It could quite possibly be put like this way. If you are in church and The Spirit reminds you that you and your brother or sister are at odds, leave church before offering yourself to God and be reconciled with your sister or brother and then come back and be reconciled with God. Our relationship with our fellow brothers and sisters is so important to God that He doesn’t accept our worship until we have truly reconciled with our sisters and brothers – provided, of course that it is possible to reconcile with them! Paul said it this way, “If possible, as far as it depends on you, be at peace with all men.” God’s ministry and goal for all individuals is reconciliation. That is not just reconciliation with Him, but between all of us. How do we expect God to reconcile with us in our sins, when we can’t even reconcile with each other for wrong doings? Peacemaking is a never ending requirement during this lifetime in order to be like sons of God. This is the ministry of Christ that He has given to us. 2 Corinthians 5:18-19, “Now all these things are from God, who reconciled us to Himself through Christ and gave us the ministry of reconciliation, namely, that God was in Christ reconciling the world to Himself, not counting their trespasses against them, and He has committed to us the word of reconciliation. Let us look to His ministry of reconciliation whenever and wherever it is possible – as far as it depends on us – through Christ our Lord.